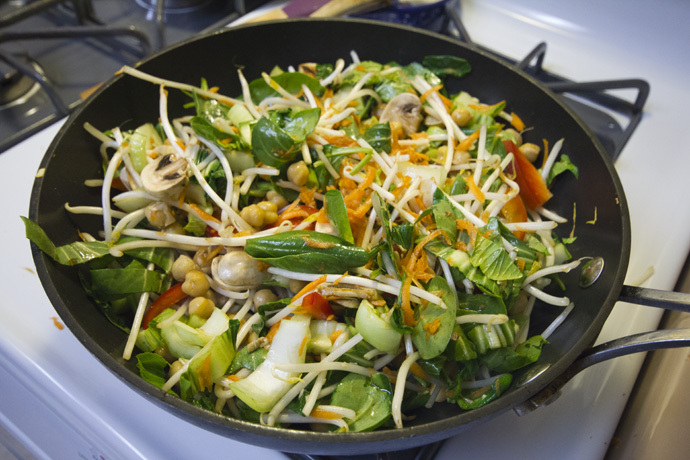 This may sound odd – an Asian style stir fry topped with tahini sauce – but the combination of flavors is delicious. 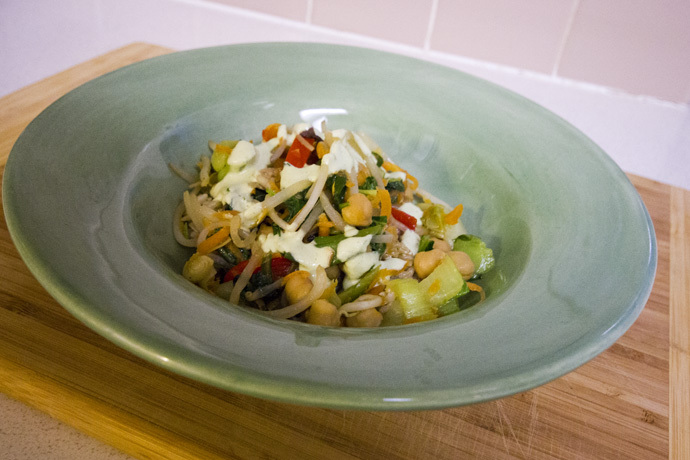 Once the vegetables are prepped and the sauce is made, this dish comes together very quickly. For even quicker preparation, make the tahini sauce ahead of time and purchase precooked frozen microwavable rice, available at many natural foods stores and Trader Joe’s. 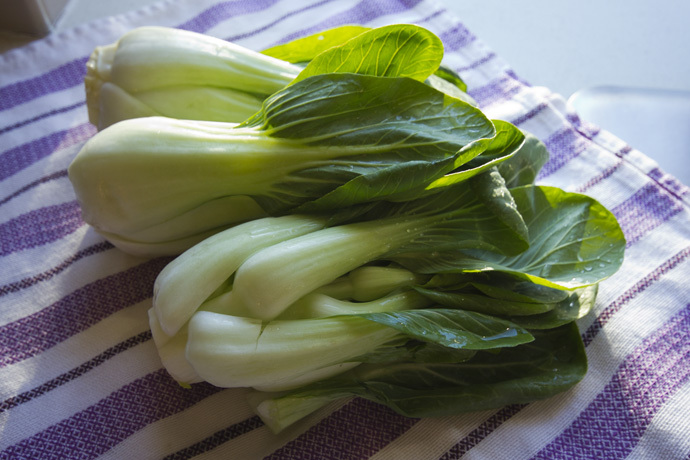 This stir fry is loaded with fresh, beautiful bok choy. The freshly prepared vegetables, ready to cook. The completed stir fry, over steamed rice, topped with tahini sauce. Heat olive oil in wok or large skillet over high heat. Add all ingredients except rice. Cook and stir for 3-4 minutes, until vegetables are just wilted and still tender-crisp. Serve over rice, topped with Tahini Sauce. Place all ingredients in blender and blend until smooth, about 1-2 minutes.